Cod liver oil is a nutritional supplement taken to serve a number of purposes. Its greatest benefit is the amount of omega 3 fatty acid contained in the oil, which can benefit your body in a number of ways, whether it's reducing your risk of heart disease or helping treat depression. 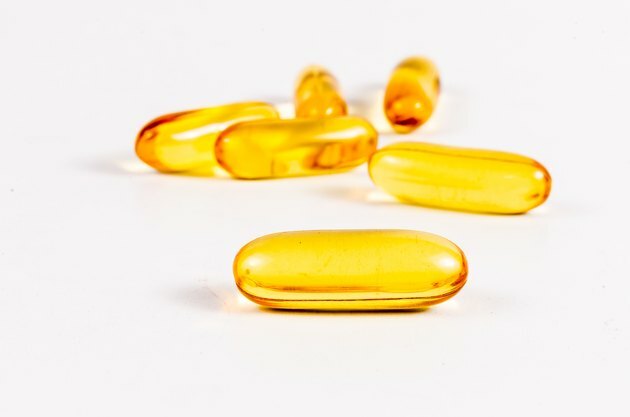 Cod liver oil has a more pungent fish taste than regular fish oil capsules but also contains more vitamin A and D. Cod liver oil is often taken in capsule form to minimize the strong flavor and make the supplement easier to consume. Take 1 or 2 capsules of cod liver oil once or twice a day, depending on the size of the capsules. Different capsules can come in different sizes, depending on the manufacturer, but most capsules are near the equivalent of a teaspoon of fluid and should be taken twice daily. Drink a small amount of water with the cod liver oil capsule to facilitate digestion of the proteins and lipids in the oil. Take a vitamin E supplement of about 400 milligrams daily. According to the Monroe Street Medical Clinic, vitamin E is a powerful antioxidant that can help relieve some of the oxidant stress placed on your body by the consumption of cod liver oil. Do not take cod liver oil if you are pregnant or nursing. Individuals with diabetes should talk to their doctor before taking cod liver oil. The ingredients in cod liver oil can cause a rise in glucose levels.